Hello My name is John Hudson! I am soon to be 33 (Feb 2nd)! I am 6’3 and 194lbs! I have dark brown hair, hazel eyes and a heart of gold! I am currently serving a life sentence and have been incarcerated since April 25th, 2008! I had a rough start to my sentence but have since grown and matured to a level of which I am comfortable with the man I’ve become! 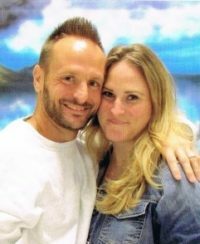 Before I came to prison I was engaged, had boy/girl twins, plans to return to college, and in one night and after one lie my whole life changed. I won’t get off into details at this moment but feel free to Google me and ask any questions necessary to help you better understand. I dont let my incarceration hold me down tho. I have a huge passion for music and poetry. I write all my own songs and even started my own band! It is called “Still I Stand”. I do alternate rock of which I am lead guitar player and singer and I also do rap music for a label called “Supa Dupa Productions”. I have performed concerts for my other fellow inmates but never would I have imagined I’d be given this opportunity to share my gift of music and poetry with the world. I look forward to sharing them and my goal by doing so is in hopes that I can reach and touch at least one life thru my music, poetry and future blogs. I will also be posting short stories of my life experience and what makes the man I am today! Thanks for listening! If you have any comments or questions I can be reached at Jpay.com.